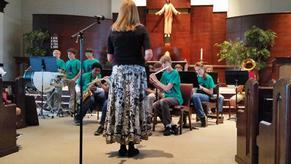 The Prince of Peace Middle School Band is small in numbers but MIGHTY in sound. Students can join the band in 6th grade and will be placed in beginner or advanced sections based on their prior experience. The POP Choir includes students from 5th to 8th grades. 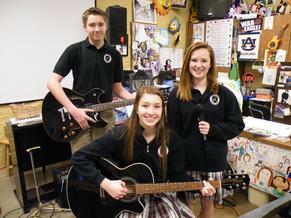 The group meets before school and performs at weekly Mass, several yearly concerts, and for the community. The choir is well attended and incorporates both modern and traditional Christian music in their repertory. During the Christmas season, the community is invited to join the choir and band for a wonderful outdoor sing-a-long on the front lawn of the school campus to celebrate the joyful time of Christmas. All are welcome! 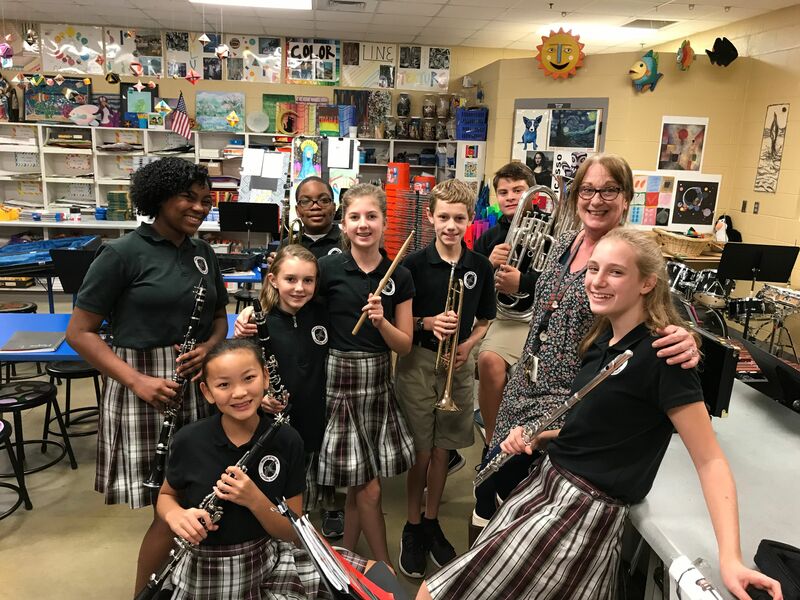 Singing is a wonderful expression of prayer and our students in and below the 5th grade also enjoy music classes each week. There, they learn about the structure, instruments, and music theory that accompanies their lovely voices. Preschool students enjoy weekly music and dance time in their own preschool movement room. Elementary Students bring history to life with plays and reenactments. Sing-a-longs during Mass, and the story of Jesus's birth are annual celebrations at POP. The school-wide (3rd grade throught 8th) talent show showcases students' musical, gymnastic, dance, and comedic abilities, as well. The fifth grade presents a musical each year, led by teachers but choreographed by students. These events are only a few of the amazing opportunities our students have to perform in school. What began as a classroom performance has grown into the Prince of Peace Musical Theater Program, and their performances are AMAZING! 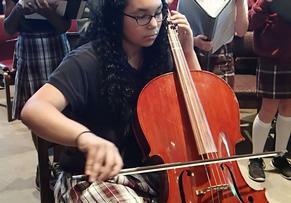 Middle school students audition to join the Musical Theater elective. The cast and crew work tirelesly to create a big theater feel on a small budget. Talented singers, dancers and actors excite the audience with the student-let productions. Musical Theater is directed by middle school teachers who, when not teaching, devote tireless hours to the personal development of the cast's performance ambitions. Art is in integral part of developing the "whole child", which we aim to accomplish in our school community. Students in all elementary grades enjoy using different types of mediums to create themes art, which can be found throughout the school. Budding artists often find their best works in local art contests that have been submitted by the art department. We believe art is an important expression of talent and should be shared, just like discussing a good book in English class, or cheering on our sports teams. Our students agree. 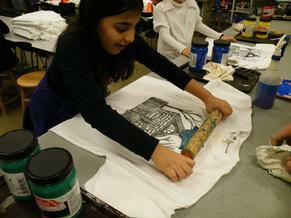 Our school recognizes the need for students to develop their interests and skills through art. Students who wish to pursue interests in design using different mediums can choose the art elective in middle school. 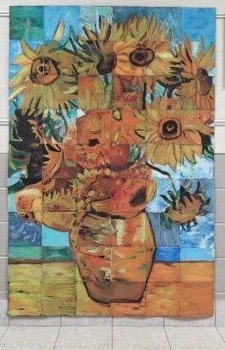 Many large murals created by middle school art students hang throughout the campus common spaces and conference rooms. Additional opportunities for creativity are available through Musical Theater, where students help create complete set designs for a musical, and the Creative Design Team which assists the Robotics Team in the annual exhibit and marketing components of the BEST Robotics Competition.